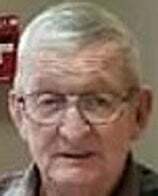 Earnest Lee Ball, 83, of Loudon, passed away April 10, 2019. Ernie was a retired truck driver. He enjoyed collecting large model semi trucks. He was preceded in death by his parents, Lee and Florence Ball; brother, Hugh Rogers; his children’s mother, Mary Ruth Ball; son, Kenny Ball; and grandson, Rodney Ball. He is survived by his wife, Mary J. Ball; children, Chester Ball (Sheree), Sandra Jacobs (Willis), Debbie Ball and Regina Large (Charles); 15 grandchildren; 22 great-grandchildren; several nieces and nephews; and his special furry friend, Summer. The family received friends Friday, April 12, at Click Funeral Home in Lenoir City. Funeral services followed with the Rev. Bob Gamble officiating. Family and friends gathered Saturday morning in Lakeview Cemetery for graveside services.